Now Peter and John were going up to the temple at the hour of prayer, the ninth hour.2 And a man lame from birth was being carried, whom they laid daily at the gate of the temple that is called the Beautiful Gate to ask alms of those entering the temple. 3 Seeing Peter and John about to go into the temple, he asked to receive alms. 4 And Peter directed his gaze at him, as did John, and said, “Look at us.” 5 And he fixed his attention on them, expecting to receive something from them. 6 But Peter said, “I have no silver and gold, but what I do have I give to you. In the name of Jesus Christ of Nazareth, rise up and walk!” 7 And he took him by the right hand and raised him up, and immediately his feet and ankles were made strong. 8 And leaping up he stood and began to walk, and entered the temple with them, walking and leaping and praising God.9 And all the people saw him walking and praising God, 10 and recognized him as the one who sat at the Beautiful Gate of the temple, asking for alms. And they were filled with wonder and amazement at what had happened to him. Peter and John did not break with their Jewish roots. They kept the regular customs and celebrations. One of the customs was to give alms to the poor and the crippled. With very little in the way of social welfare, people who were disabled would have to rely on the kindness of both family and strangers. The family might place a crippled member of the family on the street. The person in today’s story was lame from birth. It sounds as if the man was suffering from cerebral palsy. I am no doctor and not a great biblical scholar, but I have lived with someone who had CP and the description fits. A lack of oxygen to the brain at birth causes brain damage. It can be mild or severe, CP has a sliding scale. That the man is able to communicate clearly would be in line with a milder CP. However, in an agrarian society, someone who has spastic CP would be seen as a liability. We need to read more in the text than a purely physical ailment. This man has experienced shame from birth. He would have been the son who constantly disappointed. He would have been the child no-one wanted. God values people with illness or disease, but society commits limited time to them. In fact, because the western world is becoming more materialistic, I can see a push for killing children born with disability. Although Peter Singer seemed radical for his insistence that children with disabilities that prevent them from making decisions are not persons, our society has moved into a godless corner where killing each other seems less crazy. Peter and John come from an outdated and flawed tradition according to people like Peter Singer, but Peter and John react to the dignity of all human life. Thinking that people are created in God’s image leads to a more human approach than thinking that humans are just one animal among many. We should be acting on this principle ourselves. Dear God, please let our compassion for the lame speak of the truth of our views. The position that there is no God leads to so many atrocities – may those who are disabled be protected. What did the lame man ask for? What did this show about God? What does Peter Singer advocate? 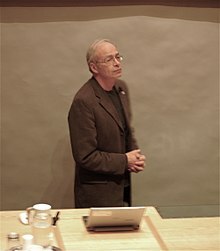 How would you counter Peter Singer?